Can you believe I have given out 100 of these weekly S.W.A.P. 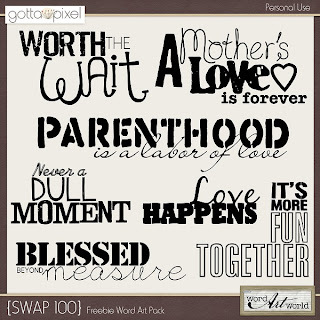 (Scrappin' Word Art Packs)? Have you been able to grab them all? I offer a brand new one every Monday and it is available for download for FREE for one week only in my store at Gotta Pixel. 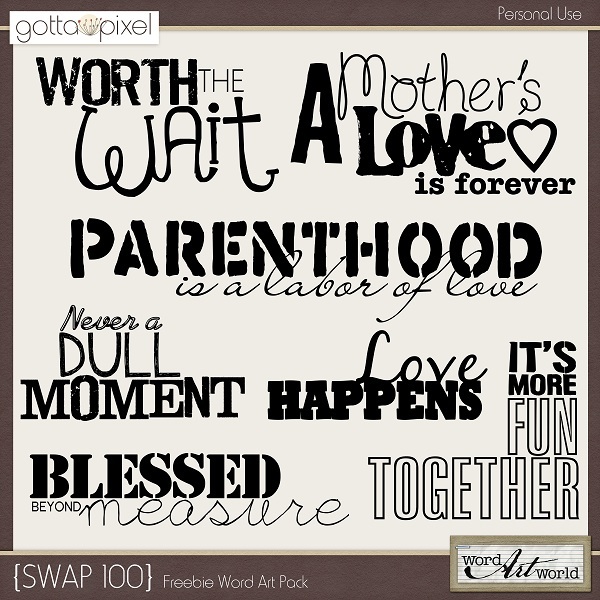 You can download this SWAP freebie HERE. No purchase is necessary; just log in to the store to download. Love these!! Thank you so much for your generosity!